Freida the Throw Away Kitty has had a very eventful life. She was definitely thrown away by evil humans. Fortunately for her, before she left us, she was found by a kind human. Taken to Forgotten Felines of Maine, Freida was nursed back to health and given a chance to thrive. Freida turned out to be a great ambassador for special needs cats. She helped raise awareness of how some animals are abandoned by cruel humans and never given a chance to thrive. I was hopeful that despite the medical conditions that made Freida a special needs cat like me, she would have the opportunity to live a long and happy life. She was definitely able to enjoy the love shown to her by her human and to return that love. She recently got sick, and many trips to the humans in white coats did not reveal what was wrong with her. She was scheduled for another round of tests, but her human could tell that Freida was tired. 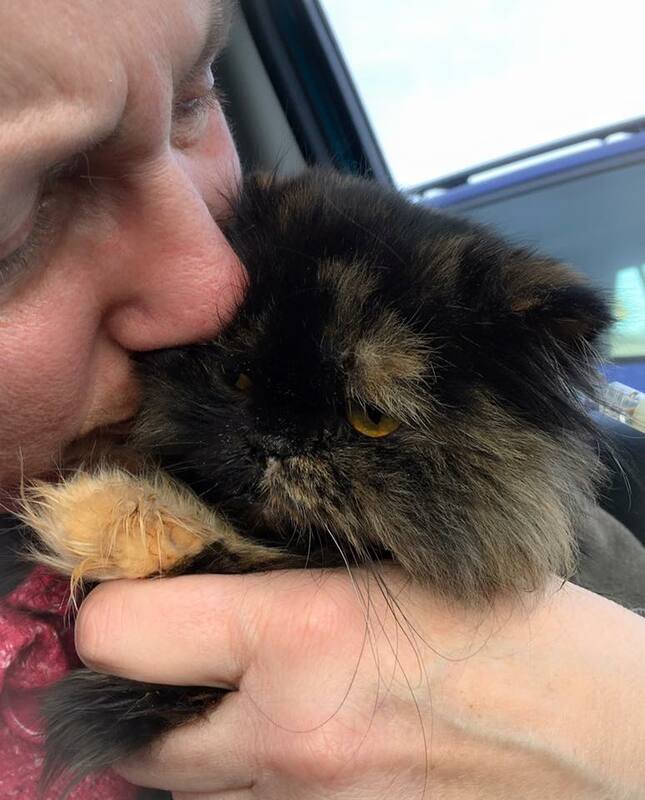 Instead of going through another round of tests in the hopes that they would reveal what was ailing this very special feline, Freida’s human decided that it would be best to take Freida home to let her spend what were likely going to be her last days in comfort. No more sticking my fellow special needs cat with needles, or cutting into her to see what was going on. Freida was going to spend her last days in her home, in familiar surroundings with the humans she loved and that loved her. I did not think that the end would come so soon. I thought Freida would have a little longer to enjoy her home and her humans. But the end came much more quickly than I thought it would. This evening, she left us. It is very sad that Freida did not get the chance to enjoy a long life with her humans after suffering from horrible animal abuse. But this special needs cat showed how special she was by inspiring so many others, both human and feline. She showed that even though her time was short, it was full of joy. And in the end, she left us at the home she and her humans had built together, surrounded by the ones she loved. Her life was too short, but this special needs cat showed us so much. I am sad she is gone, but I am very proud of her! Great tribute to “our” little Freida. Thank you. She touched so many lives in her short time with us.